The Irish War for Independence had been a final victory for the Irish people, as they were finally independent under the name “The Irish Free State” on July 11th 1921, but this compromise was only a stopgap for the coming conflict over the terms of the compromise. The Irish Civil War started on June 28th, 1922 and would spell the end of Mitchelstown Castle and several other Anglo-Irish Big Houses. The Occupation of Big Houses by the I.R.A. An I.R.A. column from the Irish War for Independence. The I.R.A. would later play a devastating role in the demise of Mitchelstown Castle. The signing of the Anglo-Irish treaty split Ireland into two sides, those who supported the treaty and those who did not, the signing also stranded the remaining Ascendency class that were loyal to Britain. The Anglo-Irish treaty had not been supported by the Irish people, as it seemed to be much more beneficial for Britain than Ireland. The remaining soldiers who were vehemently against the treaty found the burning of Big Houses as a useful method to display their disapproval and show that the longstanding symbols of English power would not last any longer. Many of the I.R.A. soldiers had to resort to burning big houses as a way to make a statement against the treaty. Mitchelstown Castle was a sitting duck waiting to be capitalized upon by the I.R.A., as its rulers had gone through many troubles in recent years with the Irish Civil War and Irish War for Independence. The commandant of the Republican Army near Mitchelstown Castle, Pa Luddy, united his force under the hatred of what the castle had been a symbol of in Ireland. Pa Luddy, had had enough of Mitchelstown Castle, “In making the fateful decision Luddy believed that he was avenging centuries of Landlordism and English occupation, as well as erasing what little was left of the Kingston presence in Mitchelstown” (1) The Irish Landscape would be purified from Mitchelstown Castle’s grasp, weakening the little hold that England had left on Ireland. 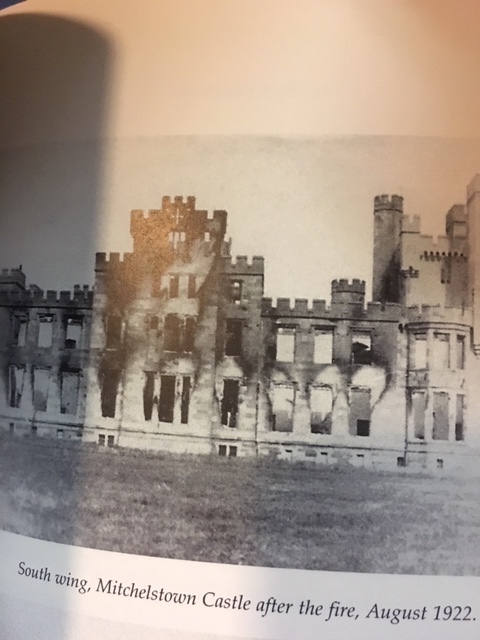 The castle was burned on August 12th, 1922 and would later be destroyed due to the extent of the fire damage. In burning this castle down, they were burning along with it the culture and history that had been a part of the Irish landscape for so long. The Irish people were fed up with the Anglo-Irish and their centuries of torment towards them. 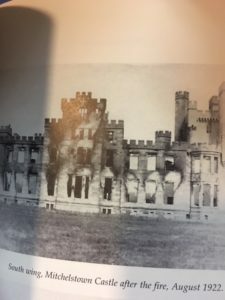 The Bowen family heard of this destruction at the Castle and knew their home lay on the path of the IRA and would inevitably be laid siege upon. In the fictional Danielstown, the Naylors home was burned down in the end. 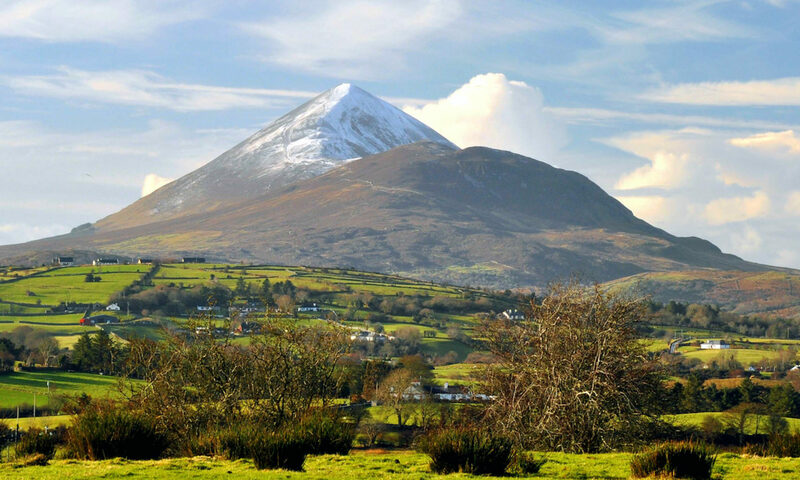 The duality between the English and Irish had been going on for too long, and this burning, along with many others was one of the ways in which the people could reclaim their land and power. While Bowens Court was not burnt down (for reasons that were unknown to her), “where there had not been violence there has been abandonment” (Source). The burning of these Big Houses symbolized the end of a big part of history with physical destruction, yet the abandonment of these country homes and displacement of the Anglo-Irish landlords also served as a reminder of the end of the Ascendency.